Home F1 Verstappen: "Leclerc and I, the Hamiltons and Vettel of the future"
Verstappen: "Leclerc and I, the Hamiltons and Vettel of the future"
The Red Bull says that the "old generation will disappear at some point" and points to Ferrari and himself as future references. The titles of the pocket are dropped, they are the leaders of the two most important and fastest teams on the grid and have been leading the fight for the World Championship for the last two years. 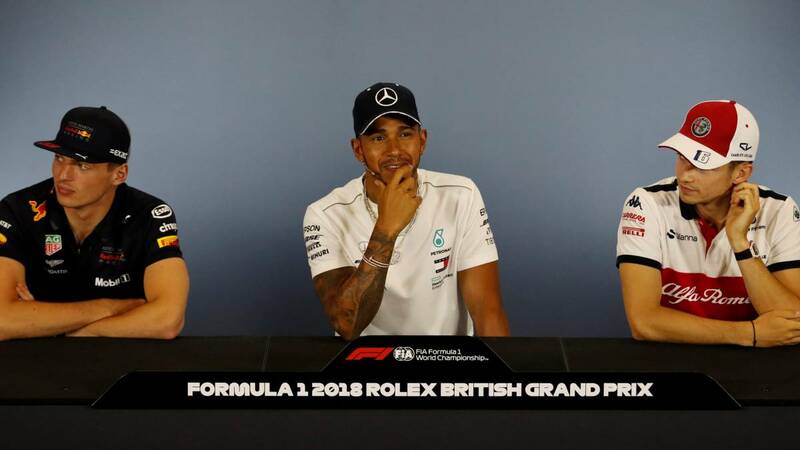 Hamilton and Vettel are the reference of Formula 1 and 2019 is preparing to live another face to face between them with permission of two new threats ... And there are two young people waiting on the other side of the door to throw it down: Leclerc, who will compete with the same weapons as Seb, and Verstappen, which will be a headache if Honda blows Red Bull. Monegasco and Dutch are the young fashions of F1 and are willing to take the witness of the great champions of this era , are ready to be the new Hamilton and Vettel. "I imagine we will be like Hamilton and Vettel in the future, because at some point the old generation will disappear", says the Red Bull driver in statements to the 'Gazzetta dello Sport' before starting a season in which they must demonstrate what are they made of? There will be many eyes that are stuck in their cars. Ya we know how much Max trusts himself and so he goes back to prove that he has talent to win from his year of rookie: "If I had a competitive car in my First year, I could have competed for the title, age is not very important if you have a good car. " And something similar about Charles:" The fact that Leclerc has the chance to win depends on his car and the team. If he's good enough, he has a chance. " The youngsters are pushing hard, but the old school will not move away easily. This weekend, Verstappen had to comply with the last of the two days of public services that the FIA imposed on him as punishment after the Brazilian GP, where he pushed Ocon into a strong discussion after the race. Thus, the Dutchman has come to Geneva to attend an international meeting of FIA commissioners. His first day was spent in the Fomula E as an advisor to the curators during the ePrix of Marrakech. "It's been a good lesson, I've learned a lot," says Max on the matter as he picks up 'Autosport'.